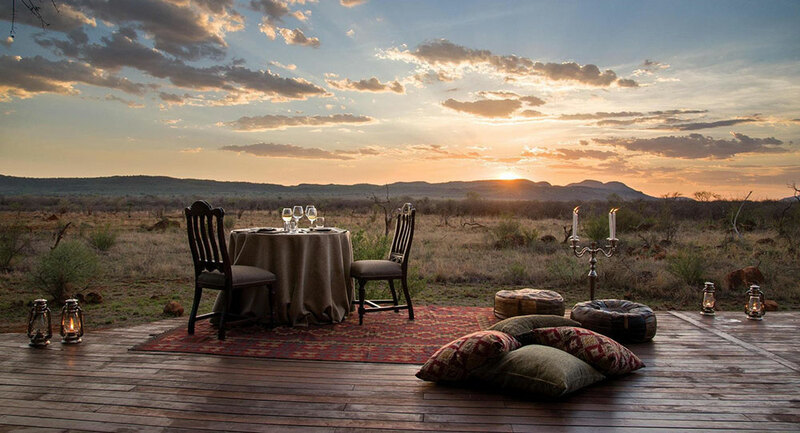 Madikwe Hills is a beautiful and very luxurious five-star safari lodge. The focus at Madikwe Hills is for guests to take in the scenic and stunningly beautiful landscape around the lodge. The main lodge building is an open plan thatched building with large panoramic glass doors that lead out to a spacious wooden viewing deck. In the main lodge building, there is a lounge area, bar and well as an indoor dining area. For guests wanting some exercise or pampering, there is a fully equipped gym as well as a small spa. 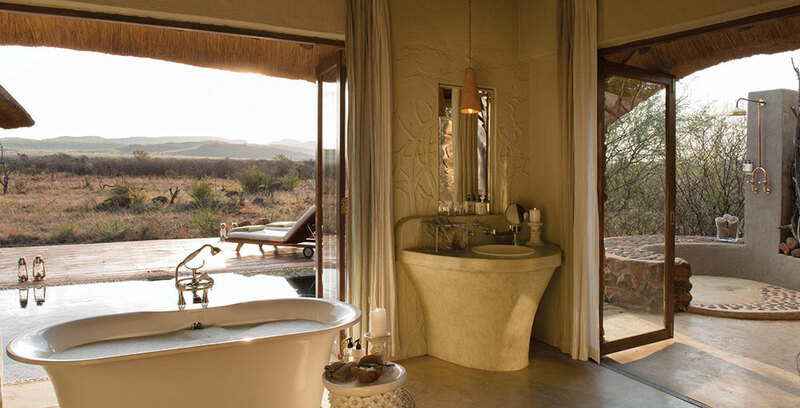 At Madikwe Hills, there are ten very spacious and private suites. The suites have been designed so that guests staying here get the maximum enjoyment of the surrounding countryside. 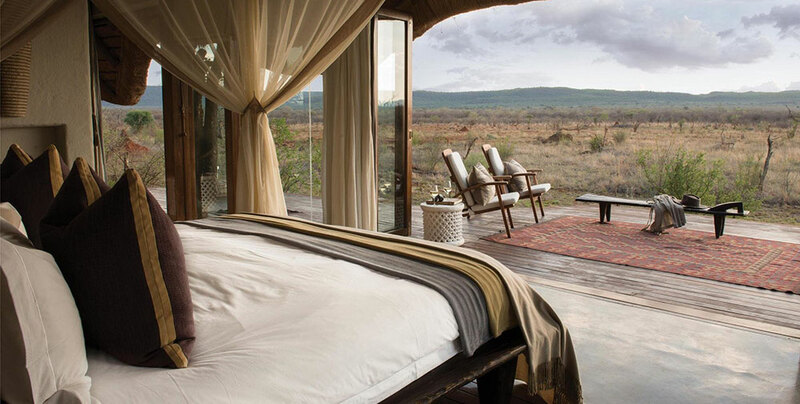 The suites at Madikwe Hills are open plan with large glass doors leading out to the private veranda. 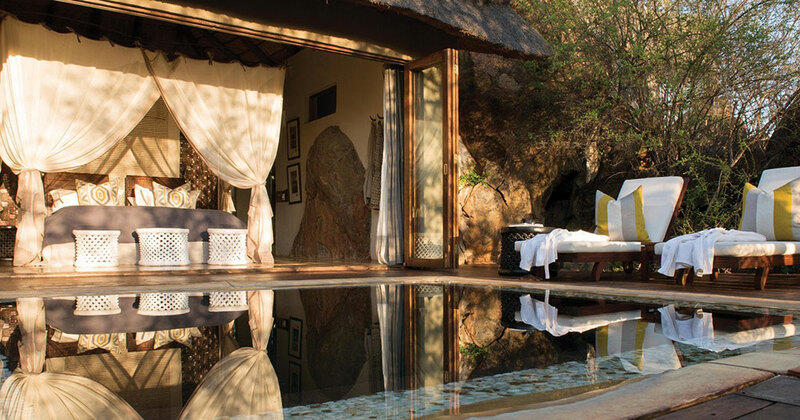 All the suites at Madikwe Hills have private plunge pools. These luxury suites have been placed around the natural granite boulders and designed with your comfort in mind. Each suite features ensuite bathrooms, private deck, private plunge pool, under-floor heating, air conditioning, fans, lounge, fireplace, mini bar, mosquito nets plus indoor and outdoor showers. Each of the ten suites has uninterrupted views of the African bush, making sure your surroundings bring you as close to nature as possible. Madikwe Hills is situated in one of South Africa’s largest malaria-free wildlife sanctuaries. Madikwe Game Reserve is a great place to spot the Big 5, and other wildlife species. It is also conveniently located close to Johannesburg. 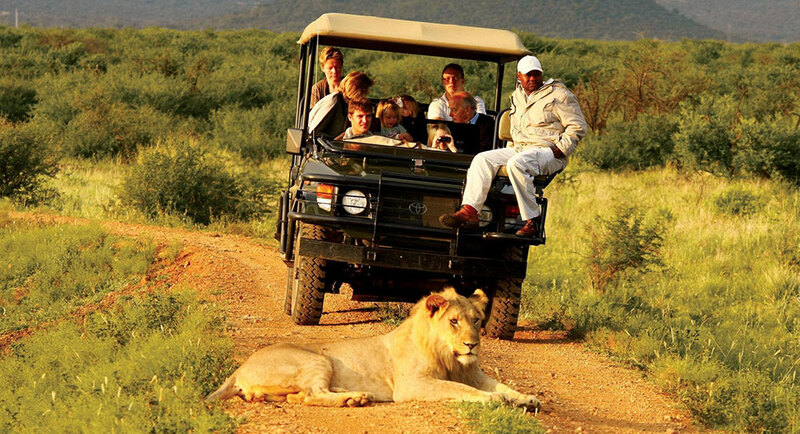 Game drives led by expert rangers in 4×4 safari vehicles is a beautiful way to explore this large reserve. The game rangers at Madikwe Hills are very informative on how to take great wildlife photographs. You can also get more intimately involved with an animal tracking experience. Stargazing and bush dining are favorite nocturnal activities along with night drives.